The bright and perky aroma of a freshly sliced, unadulterated grapefruit. 3/2016 - Poor Florida output due to crop disease has resulted in more demand than supply. Expect price instability on high quality grapefruit oils as it will be difficult to source. COMMENTS: This is one of my favorite EO's. I use this in MP soap, cuticle cream and lotion. The citrus scent is lovely without being overpowering. 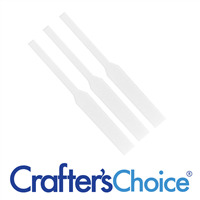 A craft fair top seller every year! 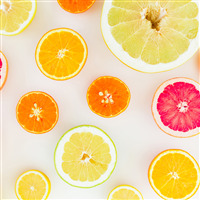 COMMENTS: I purchased the Grapefruit FO and used it in my 100% Coconut OIl CPOP soap I also added some lemongrass and sweet orange to make a citrus loaf. This fragrance oil is the best on the market, purchase it you won't regret it. COMMENTS: Compared with others supplier, WSP White grapefruit Eo give me what I want from grapefruit. Fresh, bit of sweet and customer always love it. COMMENTS: I love Grapefruit in skincare products. My 7 year old wears this butter everyday. IT is Grapefruit. But like many EO I know they fade with time especially in soaps. So I added some Yuzu to help keep the scent coming through. No problem with the lip balms added a few drops to batch and when tried on my lips could smell the grapefruit and it was light not overpowering. COMMENTS: Yum! This EO smells just like someone cut open a fresh grapefruit and poured the smell in the bottle. I have used this scent repeatedly and love the smell. COMMENTS: This smells just like sweet grapefruit. Nice and tangy. A little goes a long way in sprays. It would make a lovely lotion scent but because of citrus eo's tendency to photo sensitize I refrain from using it in this way. "Pairs well with lemon oil"
COMMENTS: I used this essential oil paired with lemon oil in deodorant, whipped body butter, and cold process soap. Works very well in all three. The smell is great for deodorant...wakes you up and smells fresh and clean. COMMENTS: This has to be my favorite. It has a refreshing and clean smell. Works for both men and women. COMMENTS: This EO is fantastic! It smells exactly like a white grapefruit and I've found it blends very, very well with woodsy scents and has been a great addition to my EO blends for men. COMMENTS: Mixed with orange EO but it didn't stick very well. I would have preferred a stronger scent that stuck better. I am going to try again with some different EOs to see if I can get it to stick better. COMMENTS: I used the grapefruit oil in a light hand lotion and it smells wonderful! Also blends into an invigorating aroma when used with a lemon oil as well. COMMENTS: Smells less sweet than pink grapefruit. Smells amazing. I will always have this on hand. COMMENTS: I was unexpectedly surprised with this FO. I purchased white citrus and white tea FOs, and this one was my order freebie, and I like this and white tea so much more than the white citrus, which is very definitely mixed with too much lime. 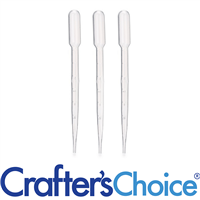 This FO is great in a lip gloss or lip balm with peppermint and pink grapefruit EOs. Also improves the overly herbal lemongrass and patchouli FOs. COMMENTS: Smells amazing!! What else is there to say! Fairly priced, glass bottle, taped well & shipped safely! COMMENTS: This grapefruit essential works so well in CP soaps and customers love the scent, although everyone seems surprised when I tell them it is grapefruit. It is sweet and makes a very pleasant soap to use. COMMENTS: This was a great addition to my soap and lotion line. It is so light and fresh, strong but not over-powering. My customer's really like this one. I will keep it in my stock from now on. COMMENTS: This is a GREAT essential oil. Thank you WSP! It blends wonderfully with Bergamot, a customer FAVE! COMMENTS: This is my most favorite scent: Cool, crisp, and mouth watering! "Doesn't smell that much like grapefruit to me"
COMMENTS: We grow white grapefruit in our back yard, and this doesn't smell very similar... in fact I didn't really smell anything but the cardboard that it came in. Wasn't very pleased with this EO. COMMENTS: I was excited when I read the reviews of this EO, but when I tried it in my CP soap the scent was very faint. COMMENTS: This has a very pure scent and smells just like grapefruit. Love it! COMMENTS: This smells so good. It's a little faint when mixed with carrier oils but still smells incredible. I definitely recommend this EO. COMMENTS: This is my FAVORITE scent of all time! I use it in my soaps and it just gives the soaps a lifting and crisp scent that makes me sing louder in the showers. COMMENTS: My customers love all the essential oil scents from WSP. True to its name. 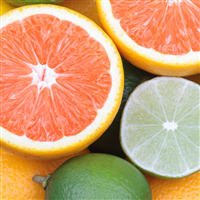 COMMENTS: Grapefruit is a great base for mixing custom essential oil combinations. I've mixed with a few other essentials so far and very happy. COMMENTS: I used this in both MP & CP and it performs beautifully. The smell is just right, not overpowering or bitter. It smells like a very clean, crisp grapefruit. It stuck well in both my MP & CP soaps which was a worry with the CP. Yet, it has been a couple of months & my soaps still smells just like grapefruit. By far my fave scent. "Oh Yes, this one is good"
COMMENTS: Will have to get some more of this one, I think it's one of the best Grapefruit EO's available. Absolutely fabulous in CP, my notes go on to rave about how well it held up with no issues and the "clean" scent that it produced in our final product. I tend to like to mix Grapefruit with other EO's, but this one seems to work quite well alone! COMMENTS: I love the smell of grapefruit, this EO went above and beyond my expectations! I use it alone or to blend and it never fails me! "My fave EO for CP!" COMMENTS: I made my first batch of CP with this EO. No issues whatsoever with acceleration, ricing, or seizing. I remember being disappointed as the soap was curing because I couldn't really smell the grapefruit anymore, I thought it had cured out. Well it came back and it's just the perfect amount of light grapefruit scent. The mixture of the smells of the EO with oils makes a bar of soap that smells just the way I imagine soap should- clean & natural. My husband raves about how good it smells everytime he uses it. Will DEFINITELY purchase again! COMMENTS: I like this eo very very much. It is the base for one of my best smelling lotions. 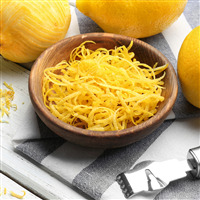 It also mixes extremely well with other citrus oils like bergamot and tangerine. Love it! "What's the difference between your pink and white grapefruit EO?" 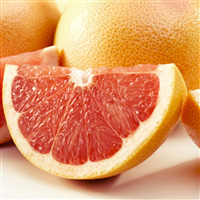 Staff Answer Pink Grapefruit is sweeter and white grapefruit has a stronger crisp citrus note to it. "How does this scent compare with the pink grapefruit EO? Which scent is sweeter?" Staff Answer The grapefruit (white) EO is more of a clean, crisp citrus scent, whereas the pink grapefruit EO is a sweeter, more mouth watering citrus scent. "I read somewhere that grapefruit EO prevents the growth of bacteria and extend the life handmade products. Is that true? Thank you"